Lisa Curtis started her business, Kuli Kuli, on the basis of the benefits of the moringa plant, which is grown in parts of Asia and Africa. The plant also became her key selling point. But then she realized, after a friend’s suggestion, that her story should lead the way. Curtis does, in fact, have quite the story. After serving as a regional youth coordinator for the United Nations, in the late ’00s she became interested in the people of the world who live off a dollar a day (about 10 percent of the world’s population were living on less than $1.90 a day, defined as extreme poverty, in 2015). “I felt like the best way to do that was to actually experience it myself and go somewhere where I could live at close to a dollar a day,” she said. So in 2010, when Curtis was 22 years old, she joined the Peace Corps, which sent her to Niger, Africa. She lived there on $75 a month. As a vegetarian, Curtis struggled to find food to eat, subsisting on millet and rice. Some local nurses then introduced her to moringa in the form of the African peanut snack kuli kuli. Curtis was then briskly whisked out of the country, after members of a branch of al Qaeda kidnapped two Frenchmen near a bar frequented by Peace Corps members. They were later killed. The event was tragic, but for Curtis, it also meant the potential of lost relationships. She ended up in India, attending a friend’s wedding, but stayed there for five months as an intern at an impact investment firm. 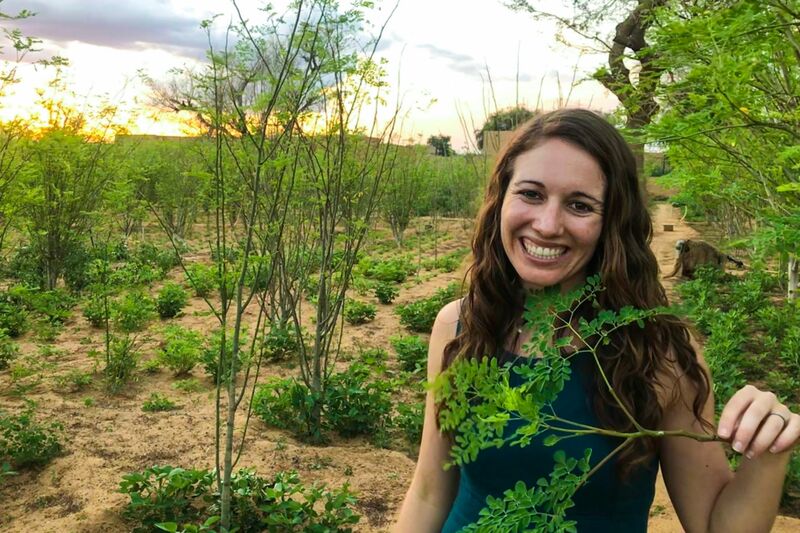 With this experience, along with some informational interviews and a volunteer stint at a food company, she felt ready to tackle her moringa project. After she recruited a team, Kuli Kuli launched onto the market in 2014. Now, the company sells moringa products including moringa powder, smoothie mixes, energy bars and green tea shots in 7,000 stores. Its top sellers are its Pure Moringa, Black Cherry Bar and Raspberry Energy Shot. Kuli Kuli sources its moringa from 1,300 farmers across 13 different countries. Curtis said it has averaged 100 percent growth every year of its existence. The company recently raised $6 million in a series B round, led by Griffith Foods and Kellogg’s. Curtis’s advice for new entrepreneurs is to start small. But also, caring about people can certainly help.